The recall for a faulty power-window switch affects more than a dozen models produced from 2005 through 2010. TOKYO — Toyota Motor Corp. is recalling 7.43 million vehicles in the U.S., Japan, Europe and elsewhere around the world for a faulty power-window switch — the latest, massive quality woes for Japan’s top automaker. The recall, announced Wednesday, affects more than a dozen models produced from 2005 through 2010. The power-window switch on the driver’s side didn’t have grease applied evenly during production, causing friction in the switch and sometimes smoke, according to Toyota. No crashes or injuries have been reported related to the problem. But more than 200 problems were reported in U.S., and a fewer number of problems were reported elsewhere, including 39 cases in Japan, Toyota spokesman Joichi Tachikawa said. 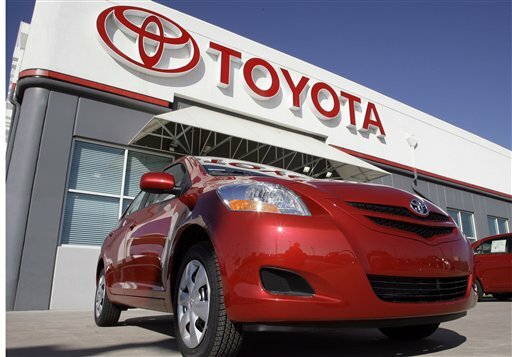 Recalled in North America are the Yaris, Corolla, Matrix, Camry, RAV4, Highlander, Tundra, Sequoia and Scion models xB and xD, spanning 2.47 million vehicles. Some 460,000 vehicles are being recalled in Japan. The models are the Vitz, Belta, Ractis, Ist, Auris and Corolla Lumion. The Yaris, Corolla, Auris, Camry and Rav-4 are being recalled in Europe, totaling 1.39 million vehicles. The sprawling recall also applies to cars in Australia, China and elsewhere in Asia and the Middle East. Toyota has been trying to fix its reputation after a series of massive recalls of 14 million vehicles over several years. Before that, Toyota had boasted a reputation for pristine quality, centered around its super-lean production methods that empowered the worker to hone in on quality control. Toyota executives have acknowledged the escalating recalls were partly caused by the company’s overly ambitious growth goals.